These adorable little characters come in all shapes, sizes, colours, and abilities. Will they find the courage and confidence to come together and save the day? Carolyn Harris a retired teacher, was born in McAdam, but now lives in Saint John, New Brunswick. This book was inspired by her grandson, Luke Ross-Harris. The characters are very similar to Luke’s vision, with one exception. They don’t have super powers! But each of the characters have a special talent. With lots of courage, they make their dreams come true! Perhaps that is a lesson for us all! 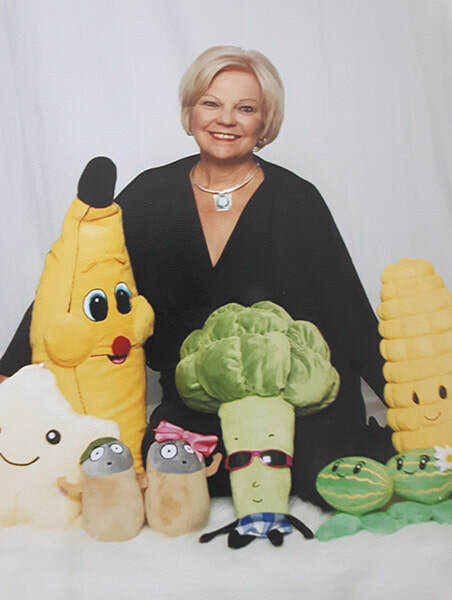 Carolyn hopes her books will not only entertain young children, but will also teach them about friendship, courage and self - worth. She is pictured with the Garden Crew. Carolyn feels all eight characters have become part of her family. She hopes they will become part of yours, too.